Selamat berpuasa to all my Muslim friends. 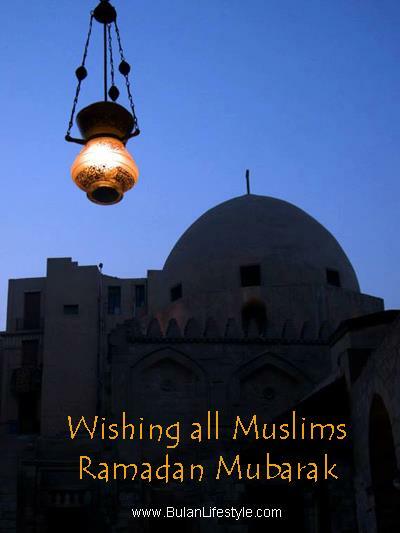 Wishing you Ramadan Mubarak on this holy occasion. I live in a multicultural country where different religions are practiced. It is customary to respect and be tolerant of the beliefs of our neighbours. May you be blessed with peace, happiness and grace! May we all learn from you. The world’s short on respect and tolerance these days. As a Medieval Times history teacher, I teach my students about Ramadan. Thank you so much for following my blog. I have always loved your name–CrazyBagLady when I see you at other sites. I am so glad you are in the same community. Welcome! Reblogged this on The Crazy Bag Lady @BulanLifestyle.com.